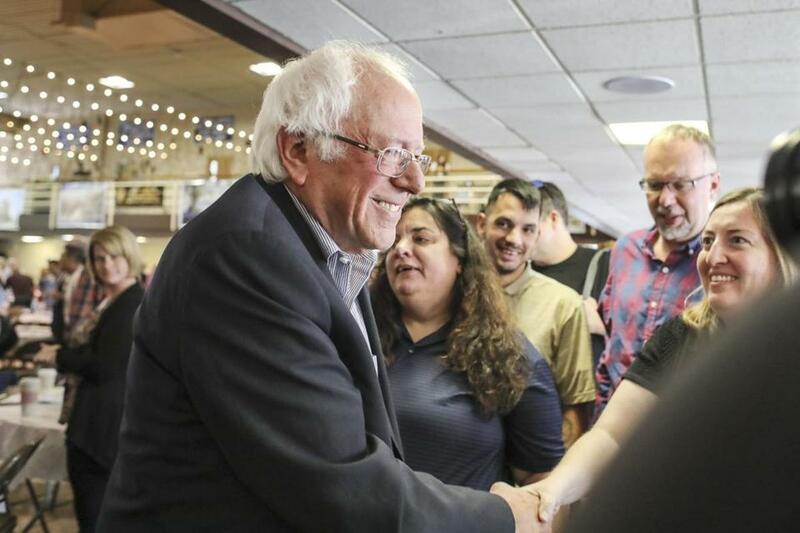 US Senator Bernie Sanders greeted supporters Monday after speaking in Manchester, N.H. Sanders criticized President Trump for “trying to divide our nation” on Monday. “Our job as trade unionists, as our job as progressives, is to bring the American people together and to fight any and all attempts to divide us up,” Sanders said. Trump is expected Tuesday to announce his plans to end the Deferred Action for Childhood Arrivals program, or DACA, which President Obama enacted by executive order in 2012. Such a change would affect about 800,000 unauthorized immigrants now shielded from potential deportation. Trump is considering a compromise that would give Congress six months to come with up with an alternative plan, according to published reports. 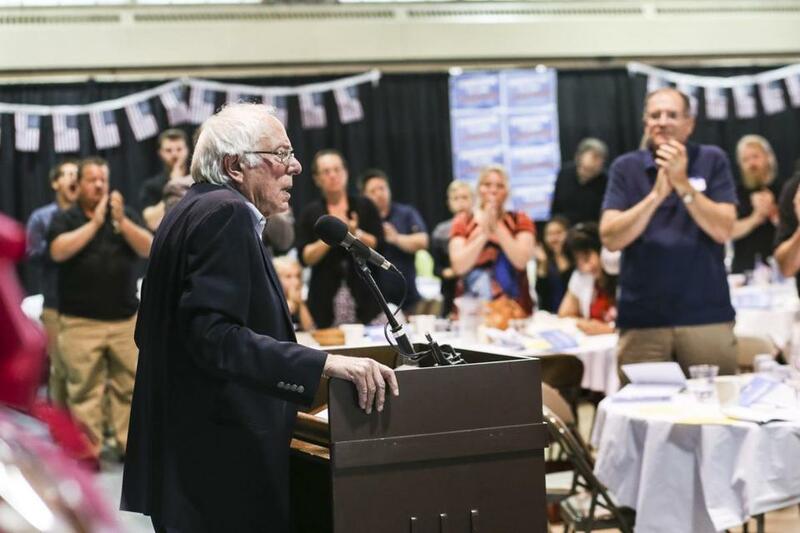 Sanders, appearing at the Saint George Greek Orthodox Cathedral in Manchester, gave his fourth annual address at the Labor Day Breakfast, hosted by the New Hampshire AFL-CIO. Sanders last year won the Democratic primary in New Hampshire in a landslide, defeating Hillary Clinton 60 percent to 38 percent. Returning to many of his campaign themes, Sanders railed against income inequality, the decline of the middle class, and stagnant wages. He advocated for a $15-per-hour minimum wage and equal pay for women. He also lashed out at Trump for failing to keep some of the promises that helped him win over voters disaffected by the economy. Rather than providing the “health care for everybody,” that he promised, Trump backed an reform proposal that would have cut insurance coverage for 32 million Americans, Sanders said. After promising to “drain the swamp,” Trump has brought more billionaires into his administration than any president in history, Sanders said. Within two weeks, Sanders said he would introduce a measure that would “profoundly change the United States of America” — a Medicare-for-all, single-payer health care plan. While popular among many liberals, a single-payer health care plan would face sharp resistance from Republicans, who see it as a government takeover of the system. “This is not going to be an easy fight,” Sanders acknowledged. Other speakers at the event targeted Trump’s policies and urged labor groups to band together to fight them. “That is not who needs a break,” she said. New Hampshire US Senator Jeanne Shaheen pointed to other presidential promises — a $1 trillion infrastructure plan, middle class tax relief, and the tools to combat the opioid crisis — that remain unfulfilled.